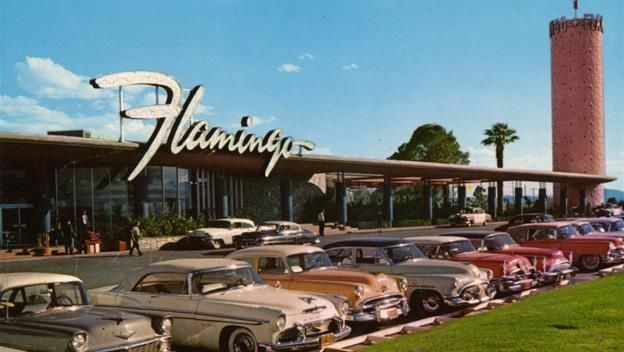 On December 26, 1946, Bugsy Siegel opened the Flamingo Hotel. Unfortunately, the opening night was a flop. Bad weather kept many Hollywood celebrities from the event, and because the gamblers didn't have rooms, they took their winnings and gambled elsewhere. The casino lost $300,000 in its opening week, after investors fronted $1 million on the site that was already under construction by Billy Wilkerson. 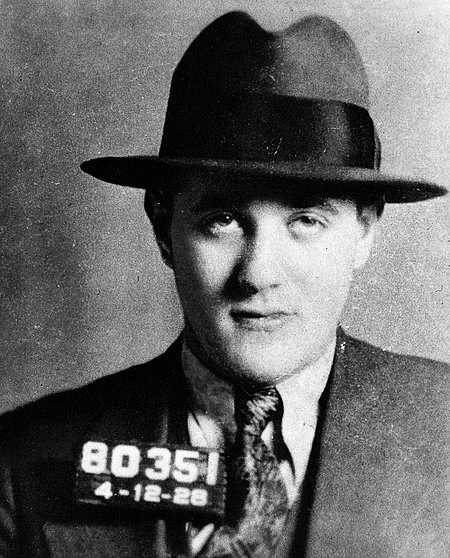 As you can imagine, Bugsy's mob affiliations were not too keen on how he managed the property, and he was murdered in his Beverly Hills Mansion in 1947. 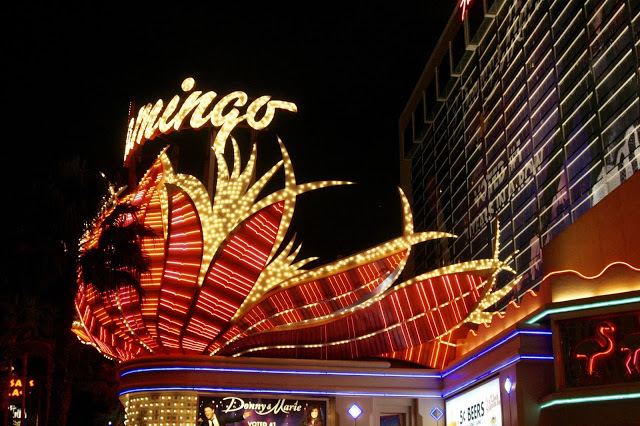 As you can imagine, The Flamingo underwent numerous management changes in its long-standing history. They've also tried to distance themselves from any association to Bugsy. Instead, the hotel celebrates the distinction of being the third hotel opened on the strip, and the oldest in operation today. My husband and I stayed there when we traveled to Las Vegas in 2017. The fact that my grandparents stayed there decades ago was enough of a connection and history to satisfy me, but then, I learned of the hotel's supernatural side. Nicknamed "Bugsy's Last Haunt," there are numerous reports of his ghost wandering the property. He lingers perhaps, because The Flamingo brought upon his death. Or, because he never saw the success it has today. Whatever the reason, Bugsy's ghost is most often seen in the hotel's garden near a memorial to the mobster. Despite the casino's initial endeavor to disassociate itself, there was just no escaping the connection. Now it's true that the ghost may not be Bugsy, but if that were true, the spector sure likes to be in the presence of the memorial. Even now in the afterlife, it seems Bugsy isn't at rest and he is stuck between two worlds. 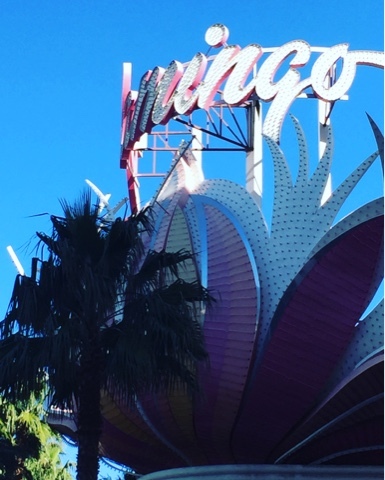 For whatever reason, his spirit chose to remain at The Flamingo. 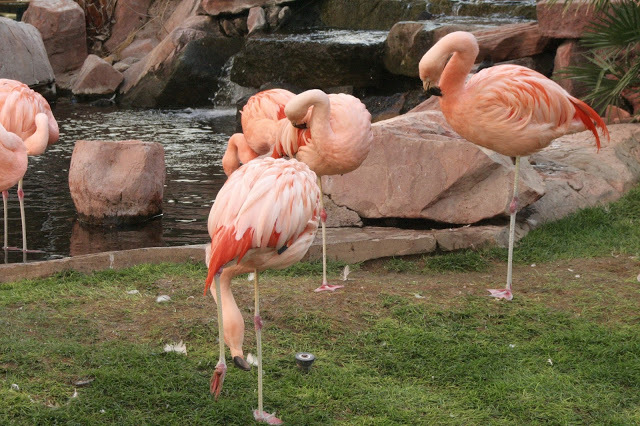 When I was in Las Vegas, I ventured into the garden with the sole intent of seeing the flamingoes. I didn't see anything out of the oridinary (even by Vegas standards) and I did not feel anything weird. Still, the stories beg the question - when Bugsy was murdered, the Flamingo was his unfinished business. Perhaps his ghost is seeing through what his living self could not ... the success of the oldest hotel currently in operation on the Las Vegas strip?